In short- you CANNOT split art into ‘1 thing.’ Every decade or so, one gets a new fad- a new ‘methodology’ that tries to pigeonhole cinema even as they claim to bring in a new lens. The problem is that the lens is too exclusionary, for it’s impossible to truly discuss art by merely pointing to its individual parts. Often, the other parts enrich and change it past the point of recognition. For example, Ray Carney, in my Woody Allen book, tries to discuss Manhattan in purely social terms, and, due to this, falls prey to the film’s illusions. In other words, Ray Carney misses the fact that Allen is mocking the very things he appears to be praising- all because Carney needs to see just ONE side. I point out to similar errors in Jonathan Rosenbaum- another academic type- and would argue that it applies to so-called “high” criticism, as a whole. There is no holistic understanding of the arts here. The best critic looks at ALL potential theories, pares them way, way down, and applies what’s left only as needed. Yes, you can use psychoanalytical thinking to reach one or two conclusions, but a great film requires more- as seen with Bergman’s Persona, where psychoanalytical readings have so infamously failed to even get at the film’s 1 or 2 basic points by over-emphasizing the very trick Bergman uses to attack such potential readings. Now, as a general timeline of the history of criticism… My basic thought is that artistic criticism, as a whole, has just been terrible. Aristotle’s Poetics are little more than an aesthetic discussion- with few real consequences for art since it is little more than Aristotle’s tastes. Yes, he has some interesting things to say about Athenian tragedy, but they are so locked into Athenian tragedy that they can never be extrapolated elsewhere. For instance, he demands, in one peculiar spot, that a truly ‘good man’ should never be shown to pass from good fortune to bad, as it defeats a specific kind of tragedy Aristotle champions- ostensibly over others. Yet we’ve had so many great art-works that show precisely this, and which remain far more complex- and ‘tragic’- than the best of Athens’s comparatively primitive plays. In other words, the book is a historical curio and a primer on Aristotle, for as soon as art criticism was put into words, there was, at the same time, the formal emergence of human biases and aesthetic preference writ large. It would take a while before they could ever be seen as such, however. Longinus’s “On The Sublime” was probably the most mature discussion of art up until that point, mostly because it dealt with art as art, tried to minimize (some) biases, and combined both technical and thematic/intellectual critique. In a way, true criticism- the correct criticism- can be said to emerge from Longinus, for as limited as he might have been, he was not only remarkable for his time period, his ‘spirit’ is also the spirit of communication- and, by extension, that of art. The best early critic to really get at the nature of art, however, was probably the poet Sir Philip Sidney in his essay “An Apology For Poetry”. No, he doesn’t give any real clues re: how to approach poetry, much less critique it, but buried in between many not-so-interesting things, he says something quite telling- and something that Dan Schneider has often said, himself. Sidney looks at historiography, and philosophy, and science, and concludes that while they’ve been useful, they are also quite static in their presentation. Poetry, on the other hand, not only contains these ideas, but also puts them in motion- makes them live. The same can be said for art, and it is in THIS distinction that the nature of the arts resides. In short, art is not ‘merely’ philosophy, history, religion, or whatever, but is distinct from these things inasmuch as it contains them. The attention, therefore, shifts towards how such things are expressed as opposed to merely their expression- a difference that’s been ignored both by good academics who happen to be bad writers (Hegel, Kant, whoever), as well as bad artists who wish to be something other than artists by way of their expression. Once this thing is grasped, and art’s emphasis on ‘communication’ vis-a-vis other endeavors is recognized, the foundation is laid for a much richer understanding of the arts. Of course, there were others. 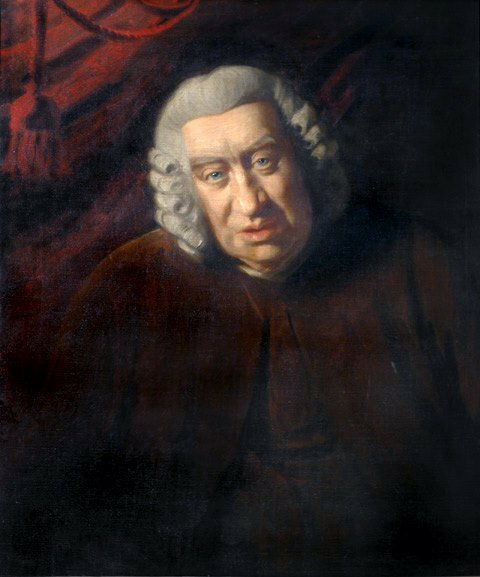 Samuel Johnson was the first academic-style critic, and while a good scholar, had some of the most ridiculous judgments of anyone- judgments that very few seem to know about today, even as they praise him as a great critic. John Donne, for example, was savaged as mere tinkerer of sorts, practically without evidence, while the dull and often hackneyed John Dryden praised as a genius. Nietzsche wrote a wonderful book with The Birth Of Tragedy, but it still gives no real means of approaching character, idea, style, etc., and stereotypes art once more into 2 dichotomies… no matter how well-written. Shelley’s A Defence Of Poetry is almost childlike in its simplicity, what with the emphasis on ethics and function over, well, the art! And much of Edgar Allan Poe’s criticism has either been thought of as a hoax, or a mixed bag of good insights and utter stupidity- think, for instance, of his requirement that a work of art be short enough to be consumed in one sitting, as opposed to savored over the long term. And this doesn’t even touch the hundreds of purely philosophical aesthetics, wherein academics debate taste and preference ad nauseam without ever really hitting upon the ‘thing’ itself! In fact, it’s always been curious, to me, that while we’ve had great art for a few thousand years now, its explicit understanding- its criticism- has not improved all that much since Aristotle. I’d argue that this is because artists have typically created instinctively- that is, by gut feeling alone, and were often unable to apply reason to their artistic decisions. But while instinct might get you a great work of art, instinct can’t produce this consistently. This is why so many great artists have made so much bad work… they simply can’t tell things apart. They just GO. In this way, logic is needed to polish and finesse instinct- to tame it, to an extent, to make it serviceable. Artists HAVE learned to do this, to a degree, but not consciously. Critics for their part have went on instinct as well, which is why their actual argumentation, use of evidence, applying self-consistent thought, etc., has been so very poor. I mean, just look at what I wrote of Pauline Kael- she can contradict herself literally sentence to sentence, and argue something 100% counter to what she argued 4 paragraphs before and not realize the harm she’s doing to her own article. She is famous, yes, she was respected (I assume) but she still cannot follow a single thread of her own thought. That is a shame. It is only when both artists and critics learn how to harness both powers (what Nietzsche called Dionysian/Apollonian) fluidly that there might be something solid to build upon, rather than the confusions both groups have been thrown into again and again. I recently appeared on a panel discussion outlining the decline of film criticism about a month ago, via Dan Schneider’s Video Interviews, which can be watched here. I also appeared on an important- nay, historical!- panel discussion on the work of the great American poet, James Emanuel, who died in the fall of 2013. 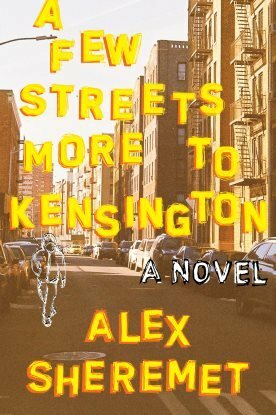 It is not only the most comprehensive look at the man’s life and work available, but works in many tidbits about him from 2 people that knew him quite well in Paris: his French translator, Jean Migrenne, and friend and fellow writer Jake Lamar. As James Emanuel’s work gets excavated and renewed over time, this will be- unfortunately- one of the only formal studies conducted on the man close to his lifetime. The video can be viewed here. 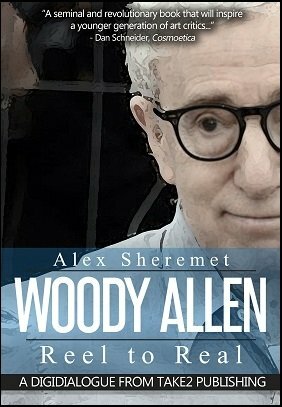 I appeared on The Eric Metaxas Show a few weeks back about Woody Allen: Reel To Real. Metaxas called the book “Great writing…significant, comprehensive, and yet extraordinarily readable.” This interview can be listened to here. I will be appearing tomorrow on John Fugelsang‘s radio show. If you’re around, you can listen in at 3:30 PM. I was given the opportunity to answer, at length, a number of broad queries re: Allen’s work from Nell Minow. The full interview can be found here: Part 1, Part 2. In between, I’ve also had 6 or 7 other radio appearances over the last couple of months which I either don’t have the audio to, or don’t care to dig around for. Please keep checking for more essays, columns, and- in 2016- books as the year goes on! I’m currently a sophomore in university. I came across Schneider’s Cosmoetica and, subsequently, you, my freshman year. The experience has been transformative, to say the least. As a writer myself, this site, Cosmoetica, and others have proved to be invaluable to the furnishing of my own craft. I guess my only limitation is practicing to separate my likes/dislikes from what is good/bad. To me, what’s bad is almost glaringly obvious, but I find it exceedingly difficult to distinguish between good, very good, excellent, and great. I’m working on it. Honestly Star Wars deserves it’s praise. In that regard Kael’s a blithering idiot.